In the Philippines there are only two seasons: wet and dry. While it’s currently the wet season, there’s still chance of sunshine every once a while. After all, our country sits below the equator which really means it’s a tropical one. So we locals have all year round to dress up either in summer-inspired outfit or layered when the rain comes. Summer is really a state of mind. So here’s a little tribute to Mr. Sun as he peeks in the morning just in time for me take decent style photos. Hahahaha. Really liking my long blunt bob. I barely style it & usually just leave it to dry despite it looking poofy most of the time. Heehee. Feeling ko kasi I can pull off that bed hair aka I-just-woke-up-look. 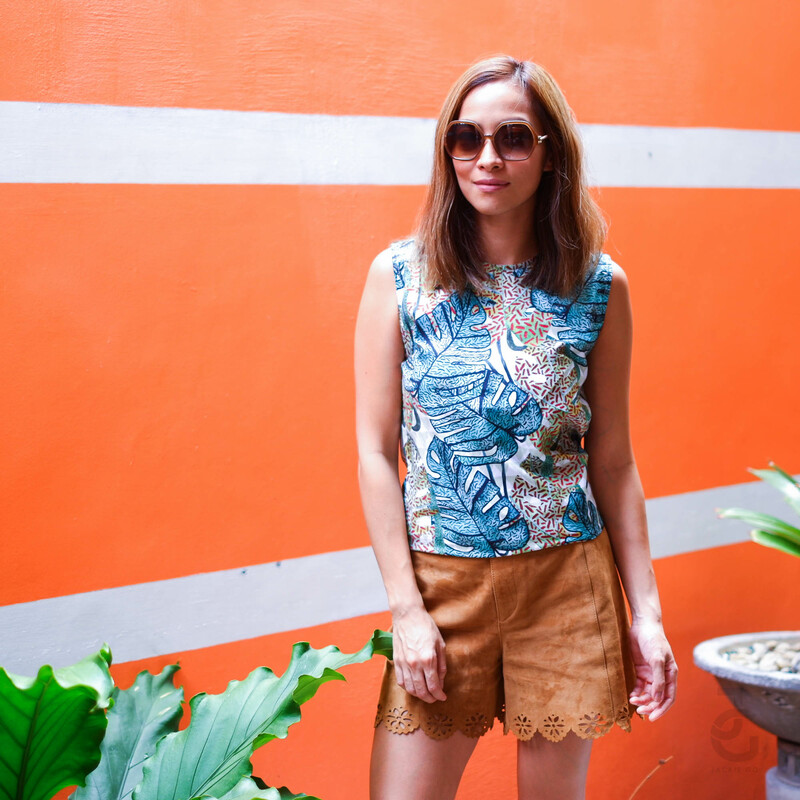 Orange you glad you can dress comfortably casual in the tropics? 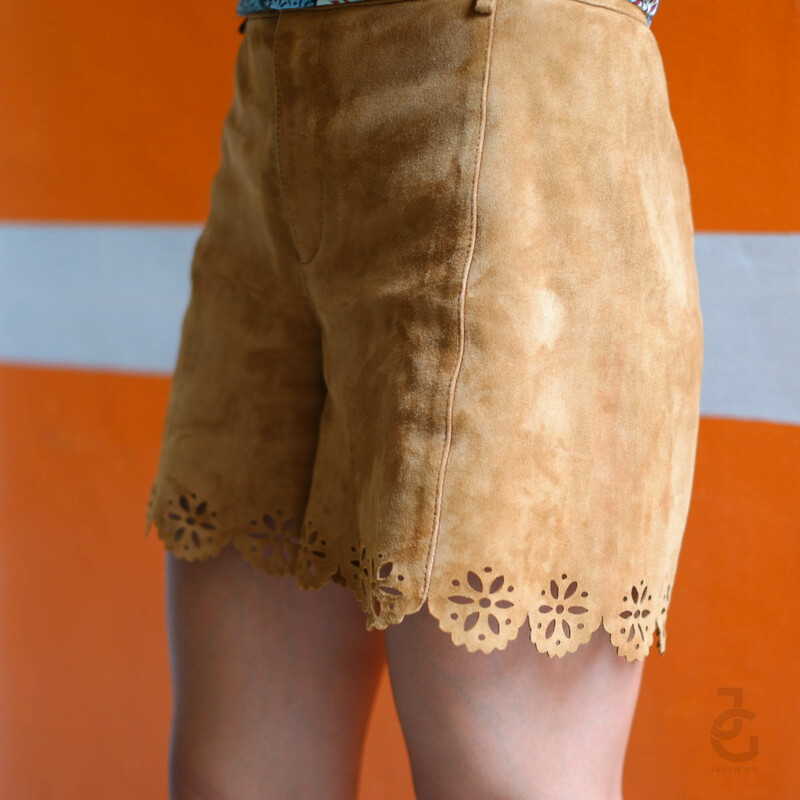 Scored this cute real suede shorts on sale. Speaking of it’s the End of Season sale for most brands guys so if you’ve been saving up and haven’t shopped for a while, this is the perfect time to do so. But only if you really want or need something. Quick tip: I used to justify my spending whenever I buy something on sale–because it’s on sale naman e. Now I’m a bit wiser and only really buy something that I want and try think I can wear for more than few times. One of my favorite pairs to date. I’ve used this a dozen times na and it’s so comfy I walk and stand for long periods of time. If you’ve visited my blog for quite some time now, you know that I’m not really a print kinda gal. I like plain, basic pieces that I can mix and match easily yet I was fairly drawn to this print. This top I got from a local shop called Mari Mari. 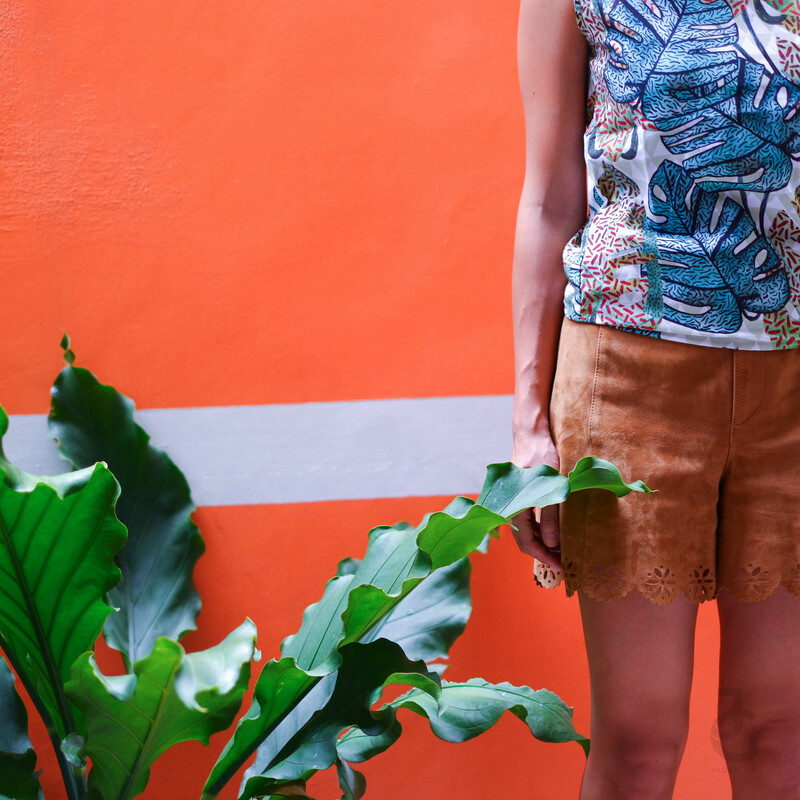 This Monstera and Yakan pattern is the first print from the brand’s first collection. This hand painted pattern was digitally printed for modern women to wear. They have various prints and styles ranging from top, dress to skirt. Partial to ferns and greens because it’s the only color aside from black, white and gray that I like. Heehee.